We're in a rental home at the moment so unfortunately all of our walls are a cream colour and we aren't allowed to paint over them. 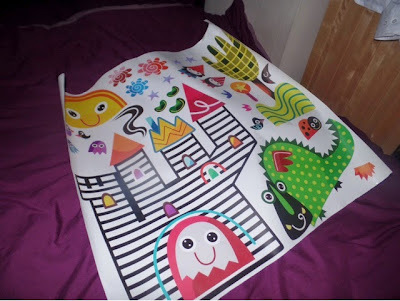 Witty Doodle sent us some of their pretty amazing wall stickers to help jazz up E's nursery. Witty Doodle is a company that was started by two young mothers who wanted to inspire their children with nursery art that was playful, creative, stimulating and fun. Most people tend to stick to pastel colours for babies but tests have shown that they aren't soothing, attractive or interesting for them. From experience with E, she seems to enjoy black and white with bursts of bright colour. Witty Doodle have made sure that their products are designed with the professionals consultation such as child psychologists. They blend science and whimsy to bring you nursery wall art that will stimulate your babies brains and encourage their imagination. 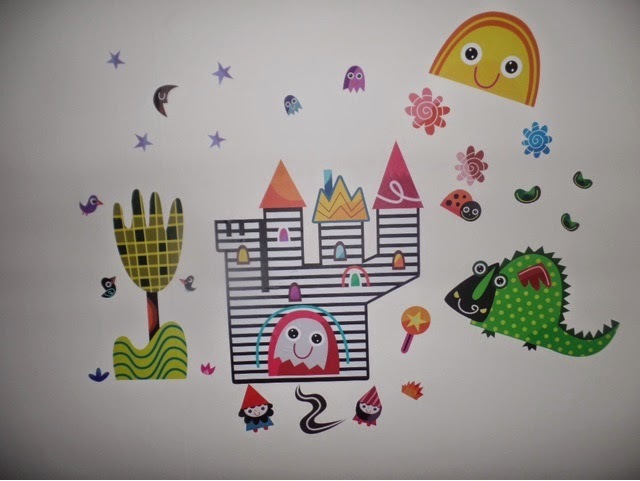 We received the Fairytale wall stickers and upon opening I just thought "Wow!". There are a mixture of large, medium and small stickers. It's recommended to display the larger stickers from birth then add the medium from around 4 months then the smaller ones when your child can focus on picking up small items. We displayed all of them as we felt that E is the right age. The stickers are so easy to apply - even I could do it without Chris's help. They just peel off and stick on a clean, dry wall. Simple! E seems to stare and smile a lot so they get a huge thumbs up from her. The stimulate her and keep her entertained while I'm busy. I love how different they are from most softer nursery wall stickers that you'd usually see. You can really tell how much work has gone into developing them around how a baby's mind works. 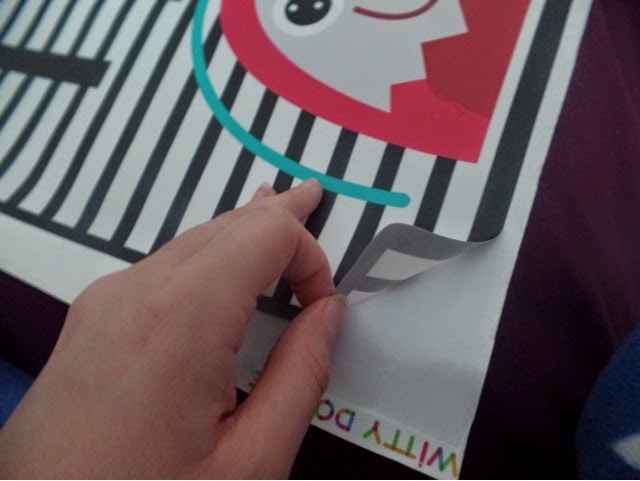 If you want to restick them, the peel off the wall easily and can be moved and restuck or stuck back onto the backing paper if, for example, you are moving house. Witty Doodle's nursery wall stickers retail at £55 per set and you can view their full range at the website. They also stock canvases and prints. You can also follow Witty Doodle on Facebook & Twitter. 1 comment on "Witty Doodle Nursery Wall Stickers"
Thank you for your review Rebecca! Please have a look at our website as we have 20% off of all our products now!